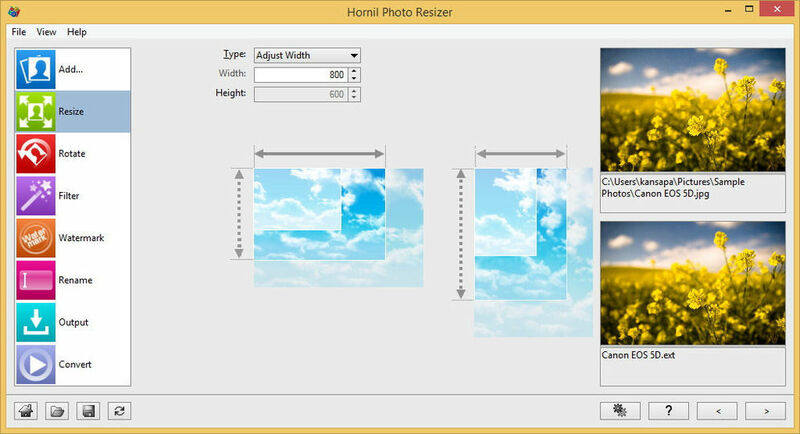 Hornil Photo Resizer is a batch image resizer for Windows that is available for free for Home users. It enable users to convert, rename, resize, rotate, add watermarks to images. Convert, Rename, Resize and rotate images. Rename images with sequential number and date. Supports Auto level, Auto Contrast, Invert, Sharpen, Grayscale, Sepia, Advanced portrait glow and Vintage filters.